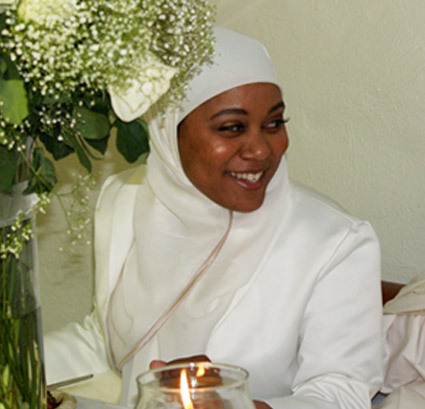 Hamza Pérez left life as a drug dealer and found Islam twelve years ago. Now, after a devastating break-up with his first wife, he moves to Pittsburgh’s tough North Side. 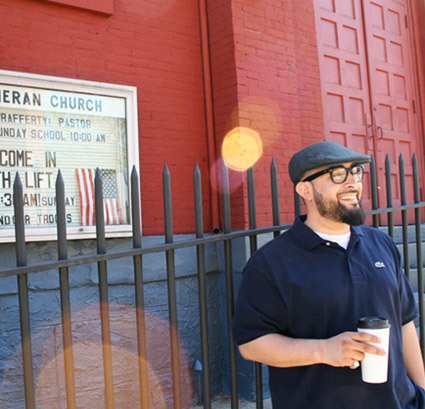 In a rundown building surrounded by crack and crime, he helps start a new community for African American and Latino Muslims. 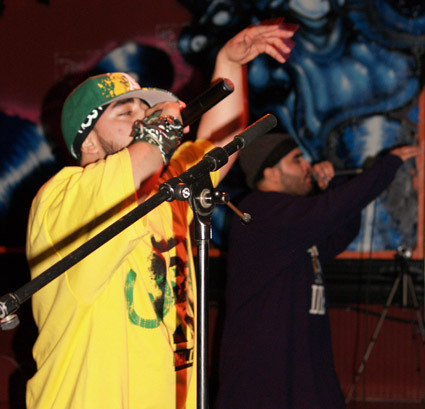 Like Hamza, many are ex-gang members who are using hip-hop culture to take their religious message to the streets, slums, and jail cells of urban America. Raising his two kids as a single dad and longing for companionship, Hamza finds love on a Muslim networking website and seizes the chance for happiness in a second marriage. But when the FBI raids their mosque, Hamza and his community come face to face with a whole new set of challenges, and have to choose how they respond. 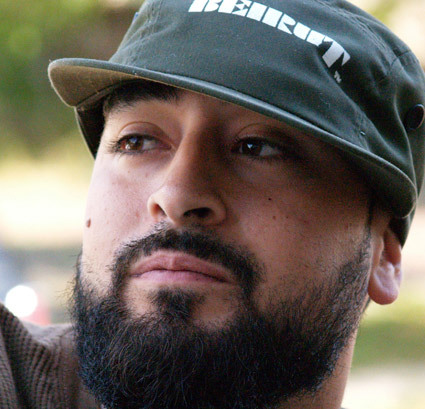 While he continues his MySpace.com-fueled rise as part of the provocative rap group Mujahideen Team, Hamza starts reaching for a deeper understanding of his own faith — leading him to some surprising new relationships with Christian and Jewish allies. 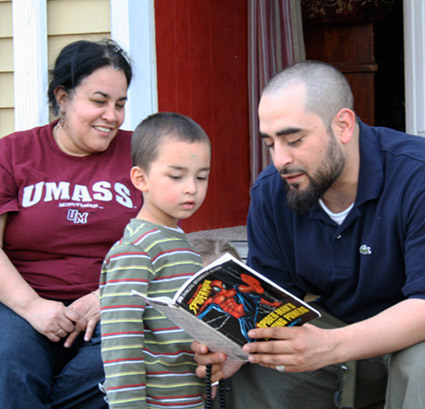 Setting Hamza’s story in the context of young American Muslims’ emergence among the deep dividing lines of the post-9/11 world, New Muslim Cool gives audiences an authentic, intimate, and fresh view of life in one of the world’s most rapidly growing and least-understood communities. Producer/Director Jennifer Maytorena Taylor’s Films have been shown in theaters, on television and in film festivals and museums around the world. Her work often focuses on Latino themes with Spanish-language content. Credits include the documentaries Paulina (Sundance Channel), Special Circumstances (PBS), Ramadan Primetime (Link TV), Home Front and Immigration Calculations (KQED), and many short films. Her work includes numerous festival awards and two regional Emmys, and has garnered support from institutions such as Ford Foundation, the National Endowment for the Arts, and the Rockefeller Foundation-supported U.S.-Mexico Fund for Culture. She was born in Southern California and is of Mexican, Sicilian and Irish descent.